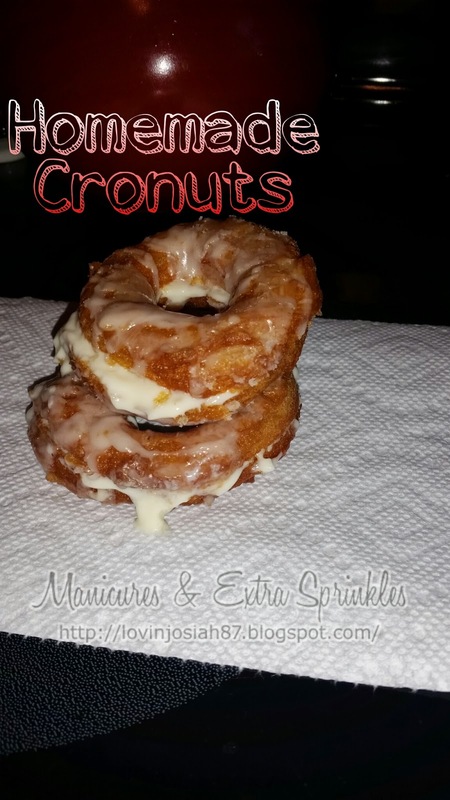 Love, Christin | A Lifestyle Momprenuer Blog: Easy Cronut Recipe! I made this about a week ago for the first time and I fell in love. I probably gained about ten pounds eating them too! Homemade Cronuts are easy and so tasty! First your going to heat up the canola oil in a sauce pan or in your deep fryer. While your waiting for that, you open the crescent rolls and flatten them out in double layers. 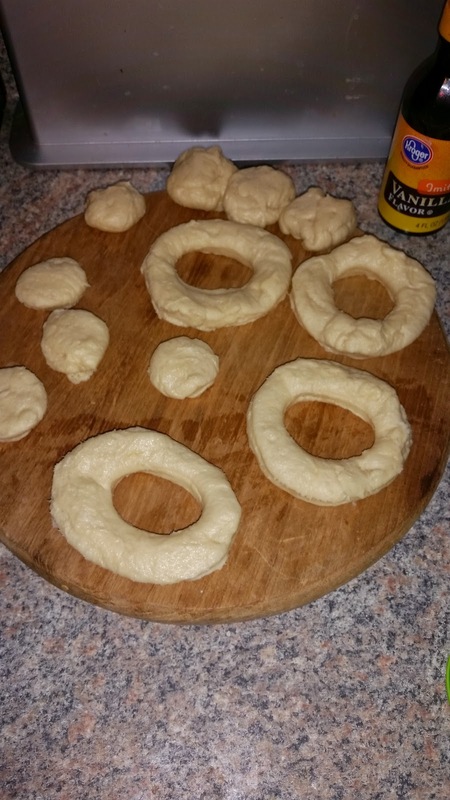 Using biscuit cutters you want to make 3 inch round holes, and then smaller 1 inch ones inside the large ones. 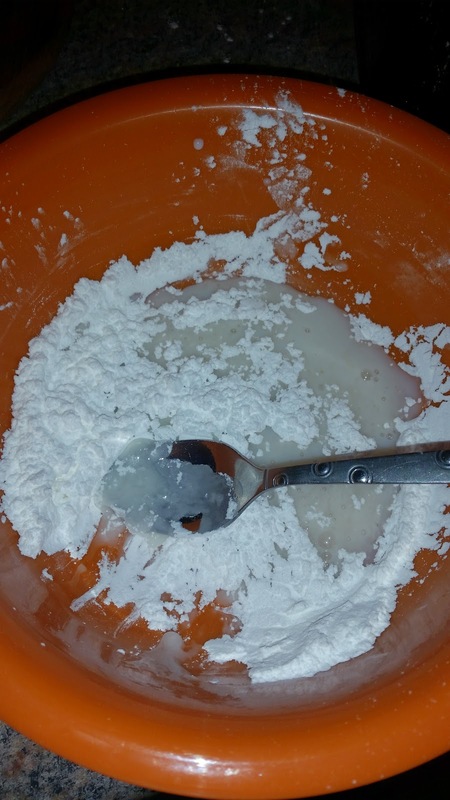 In a medium bowl, mix 3 cups of powdered sugar and 1/2 teaspoon of vanilla, and then add milk, 1 tablespoon at a time, until a smooth, glaze-like consistency forms. Cut the donut in half and add the vanilla pudding then top with powdered sugar combination!!! Top however you'd like & Enjoy! !